We understand that fleet managers face the challenge of reducing costs as much as possible. Premature repair costs can pack a huge punch, especially when you're in the middle of a job. The point that we always try to hammer home is that maintenance should not be ignored. In this Shop Talk Blog post, we are going to discuss six shop policies that you can put in place to aid in minimizing your maintenance costs. One of the keys to minimizing costs is being smart about your suppliers. As most fleet managers know, local solutions are not always the best route, and neither is the OEM. Used parts may be a cheap alternative, but they usually fail prematurely and end up just as expensive as a new part. New parts from the OEM can be cost prohibitive from the outset. 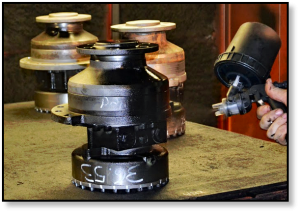 Rebuilt and remanufactured components, including final drive motors or pumps, are a viable option depending on the quality of the shop that is doing the work. A good rebuild / reman drive will meet or exceed original OEM specifications at about half of the original price. Another useful tactic in minimizing costs is to carefully keep track of warranties. Many times, a failed part is repaired or replaced with out-of-pocket expenses while it is still covered by warranty. This happens simply because the part's warranty information was never pulled. When a part of component fails, always have someone look up the warranty to see if it might still apply. Make sure the maintenance team has access to the warranty information before they try to perform a repair on a failed part. Sometimes, attempting the repair yourself will automatically void the warranty. Preventive maintenance is key to saving money when it comes to maintenance. First, remember that a well-maintained machine is going to be more fuel efficient. 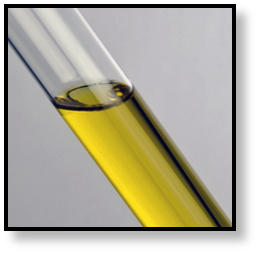 When it is properly lubricated, has clean filters, and the oil has been changed, the machine is far more likely to be operating at peak efficiency. 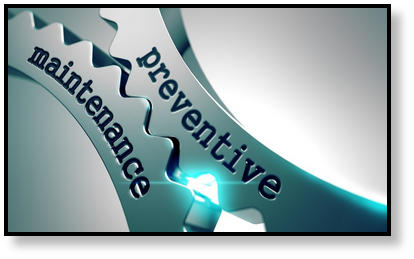 Preventive maintenance also helps to minimize downtime and the financial losses associated with it by preventing failures before they happen. Finally, it is cheaper to perform basic maintenance on a machine than to perform extensive repairs and rebuilds. Telematics data that tracks fuel consumption and machine performance can be a great way to spot problems before they become a catastrophic failure. Telematics data can be used to detect problems before a machine fails. For example, if you have two equivalent machines and one is showing much better fuel usage, then that’s a red flag that something may be about to go wrong with the other machine. Take the time to learn how to sift through the massive amounts of data to get the information you need to truly track machine performance. Lubrication is an investment in the life and performance of your machine fleet. It drastically reduces wear. It keeps parts from running too hot by conducting heat away from key components. It protects interacting surfaces. 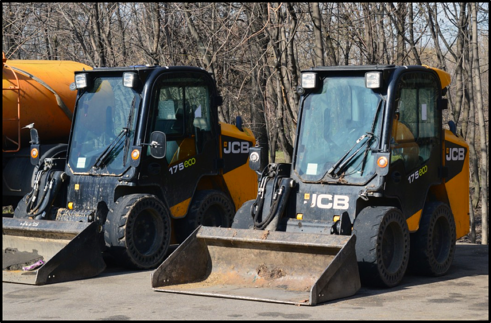 It is vital to the proper functioning of every machine in your fleet, from the smallest CTL to the largest excavator. Do not skimp on lubrication, neglect to check lubrication levels, fail change out oil when appropriate, forget to replace oil filters on schedule, or forego fluid analysis. Treat lubrication as a direct investment in the life and efficiency of the machines in your fleet. Not only will your machines run more efficiently, but they will retain their value longer as well. Leaks can cause a whole host of problems, especially when it comes to hydraulic systems. Any time there is a temptation to put off addressing a leak (like topping off the fluid level until a more convenient time), remember this: if fluids can leak out, then contaminants can get in. 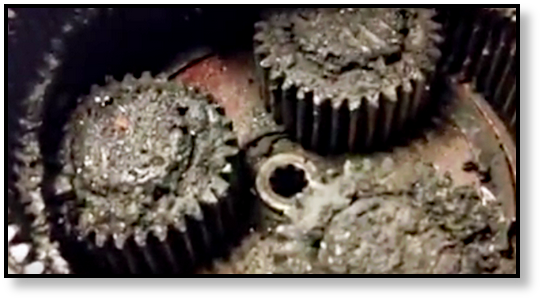 If oil is leaking out of the planetary hub on a final drive motor, particles of sand and grit are already getting in there and destroying the bearings and gears. Get leaks looked at right away! When a leak is present, you need to determine the whether it was caused by a worn-out hose, a failed seal, or some other issue. Get this issue repaired as soon as possible. Not only will this reduce your downtime (either now or in the near future! ), but it will also prevent very expensive repairs. Quick attention to leaks definitely saves money in the long run. As a machine fleet manager, you face a great deal of pressure to lower costs and overhead. Sometimes there may be temptation to cut costs in the area of maintenance. However, we strongly advise against that -- you'd be wasting your own future money! Remember to adopt the practices mentioned in this post -- including final drive maintenance -- to aid in minimizing your maintenance costs.